Ropemaker Place in the heart of the City of London is one of London’s most attractive yet sustainable buildings providing over 565,000 sqft of office and retail space. 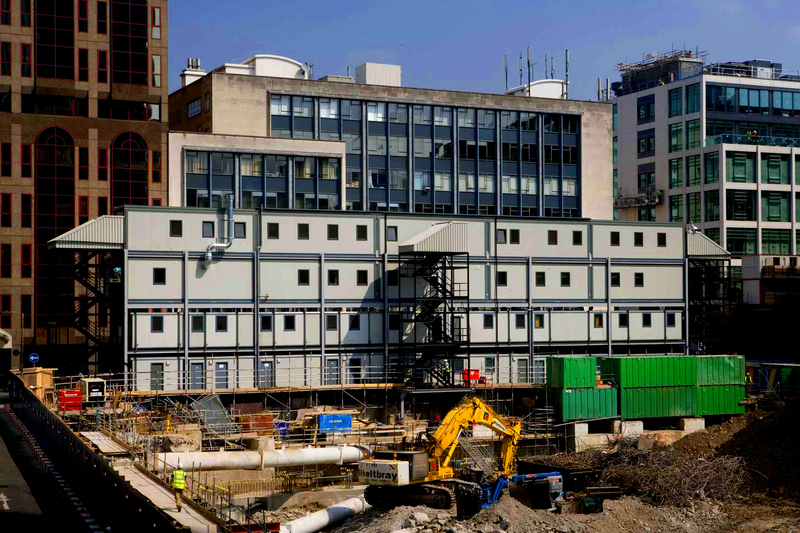 Whilst construction was undertaken Premier were given the challenge to provide welfare facilities for 700 operatives and 50 staff within a very tight footprint - being in central London there appeared to be no site space available to provide the buildings needed. Premier’s solution was to provide a building 4-storeys high cantilevered on a gantry to allow pedestrian access on the path beneath two levels of the gantry. Premier provided office space, canteen, drying room and toilets for the client to assist in the construction of the new buildings.